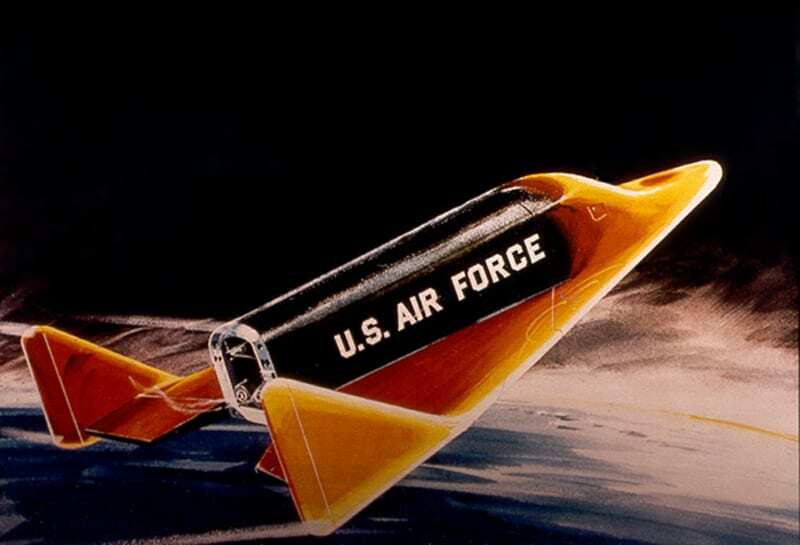 Decades before the space shuttle, U. S. Air Force officers and scientists were working on the Dyna-Soar, a single-pilot, reusable spaceplane that would have been boosted aloft by a Titan rocket. Before the heyday of unmanned aerial vehicles, an Air Force film spoke of the “emphasis on having a man on board” and of the new spaceplane requiring “the cool hand of a skilled pilot.” Before the digital age, the Dyna-Soar had a remarkably clean and functional cockpit, although it was cramped and festooned with toggle switches and round dials. Before heat-resistant ceramic tiles were used for shuttle re-entry, they were being studied for use on the Dyna-Soar. “This was a ‘might have been’ that never displayed insurmountable flaws,” said Dr. Richard Hallion, former Air Force chief historian and an expert on hypersonics, in a telephone interview. Dyna-Soar, a term apparently derived from “dynamic soaring” was the result of American plans in the early 1950s to develop a manned space bomber derived from work performed in Nazi Germany on the never-finished Saenger-Bredt Silbervogel (Silverbird) intercontinental skip-glide rocket bomber. The Silbervogel was intended to achieve long range by “skipping” off the atmosphere like a flat stone until it finally ran out of energy and had to land, presumably in Japanese territory. Dyna-Soar’s origins go back to Walter Dornberger, a leader of Germany’s V-2 rocket program and other projects at Peenemünde Army Research Center. Dornberger went to work at Bell Aircraft under chief engineer Robert J. Woods, who was on the National Advisory Committee for Aeronautics (NACA) committee for space flight and was a proponent of a manned hypersonic vehicle. His efforts were partly responsible for the North American X-15 rocket research aircraft. The committee headed a study called Bomi (for “bomber and missile.”) Out of this study came a solicitation from the Air Research and Development Command (ARDC) in 1956 for Robo (“rocket bomber”), a boost-glide orbital strike system. The project was part of what NACA called Round Three, referring to an eventual follow-on to the X-15, which at that point had not yet flown. pressures of re-entry from space. In addition to Bell, ARDC looked at proposals from Boeing, Chance Vought, Convair, Douglas, General Electric, Lockheed, McDonnell, Martin, North American, Northrop, Republic and Western Electric – the roster a reminder of how many aerospace companies thrived in an earlier America. ARDC set up an Air Force project office at Wright-Patterson Air Force Base, Ohio. It’s important to note that the X-20 designation associated with the Dyna-Soar – and which, in the context of the time, signified a peaceful research role – lay in the future. Officials were still hoping they would produce not merely an X-15 follow-on but a prototype for a space bomber able to deliver atomic weapons to the Soviet Union from low Earth orbit. After two contractors were given the go-ahead to submit more detailed studies, on Nov. 9, 1959, ARDC selected Boeing to build the Dyna-Soar vehicle and Martin to built the booster, leaving Bell, which had done much of the pioneering work, with no part of the project. 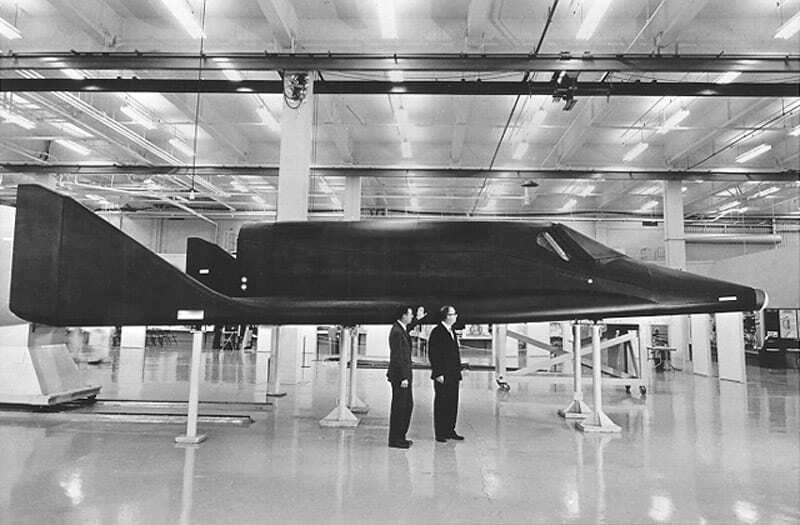 At every stage of its design and development, Dyna-Soar was capable of being a fully orbital spacecraft, but as the program moved ahead, emphasis stayed on its capabilities as a suborbital, hypersonic spaceplane/glider that could “skip” along the earth’s atmosphere. Officials could claim, then, that it was not really a spacecraft. On separation from its booster, the Dyna-Soar would use A-4 or A-9 rocket engines to place the vehicle into an exoatmospheric trajectory from which it would eventually fall away. When it fell far enough, instead of re-entering it would use its wings and some of its speed to generate lift and would bounce (or “skip”) back into space. It would skip around the world until speed was reduced to the point where the pilot needed to select a landing site and return to the atmosphere. Similarly to the future space shuttle, Dyna-Soar was designed to glide to earth like an airplane under the control of its pilot. It could land at an airfield, rather than simply falling to earth and landing with a parachute. Engineers decided not to use wheels, fearing the affect of heat on tires, so Dyna-Soar was configured with ski-like landing skids. In 1960, seven astronauts were chosen in secret for the Dyna-Soar program, including Neil Armstrong, who moved to another project and was replaced by the time the names were released in 1962. Belatedly giving the craft the designation X-20 on June 19, 1962, to imply a peaceful mission was not enough. Dyna-Soar leaves behind many achievements, including pushing the technology for high-temperature ground test facilities. It’s important to note that the program encountered no technological obstacles that engineers didn’t believe they could overcome. Dyna-Soar is often compared to the space shuttle, which began flying on April 12, 1981 and completed its 135th and last orbital journey on July 21 of this year. The shuttle was too large and complex to offer cost-effective orbital capabilities for other than the costliest and most complex missions. But Dyna-Soar was also a progenitor and closer relative of the X-37B, the reusable robot spaceplane that was transferred from NASA to the Department of Defense in 2004. Two X-37Bs have been boosted into low earth orbit from Vandenberg Air Force Base, Calif., by Atlas V 501 rockets, the second on May 5 of this year. The Air Force has said very little about the mission of the X-37B. Officials insist it is a research craft only and it is labeled a “test” vehicle, but space-watchers wonder if it has reconnaissance duties. Except for the absence of a human pilot on board, the X-37B could be a Dyna-Soar on steroids. Some wonder if Dyna-Soar’s name might have contributed to its downfall. Hallion sad it would be difficult to testify on Capitol Hill and request money for something that sounded like a “dinosaur.” It could have succeeded, however, and it was clearly value for money. “Just don’t call it ‘Jurassic Pork,'” said Hallion. Interesting, I remember this program from many years ago, too bad we wern’t allowed to continue with it. Wher would we bw today if we had? Yeah, that’s it exactly. What if? Keep an eye out for an upcoming article by Mr. Dorr on another “might have been” of the era, the cancelled Manned Orbiting Laboratory (MOL). Take a GOOD look at those development numbers, and then go to your almanac, and — looking up the Consumer Price Index in the index — measure the comparative value of that money in today’s dollars. Then ask yourself if those numbers really made sense. When a REPUBLICAN Sec’y of Defense doesn’t think it’s a good idea, there MUST be some reason. Laird wasn’t exactly adverse to military spending as I recall. However, the desire to have “detente” with the Soviets might have influencd the Nixon administration (for whom Laird was Sec’y of Def.) to cut the Dyna-Soar, which TOO-OBVIOUSLY invited use for militarizing (to be exact: “WEAPONIZING”) space. While the M.O.L. was essentially a sluggish can-in-orbit, the Dyna-Soar was implicitly, essentially an ICBM missile easily aimed anywhere, very precisely — especially threatening if the per-unit costs would ever get reasonable. Not exactly something you want to be aggressively developing, if you want the Soviets (Russians) to trust your good intentions in the middle of nuclear arms talks. (*…not counting Kennedy’s major milestone of the Nuclear Test Ban Treaty that got nuke-testing out of the air, and underground where it was both safer to immediate public health and a slowing inconvenience for nuclear arms development, especially for the comparatively low-tech Soviets). Nixon’s nuke treaties with the Soviets may have been controversial, and not as effective as advertised, but the legitimized the concept of nuclear arms limitations, and very clearly paved the way for future reductions under Reagan and others. Though it’s heresy to say so in THIS venue, I very much appreciate the sheathing of the bulk of U.S. and Russian nuclear arsenals, and the beating of those grisly swords into plowshares. Well worth the loss of the Dyna-Soar, and dozens of other “could-have-been” nuclear weapons. Dyna Soar was the culmination of research dating to the late 1920s from Austrian Professor von Hoefft’s winged orbital space-airplane studies and wind tunnel model testing. At Bell Aircraft, Dr, Dornberger a team initiated Western boost-glider projects with BoMi…a delta-wing boot-glider style fighter like aircraft to perform reconnaissance, orbital launch of nuclear-tipped re-entry missiles. It led into S-459L Hi-Fi Recce, one half of the 2-part S-118P and RoBo. 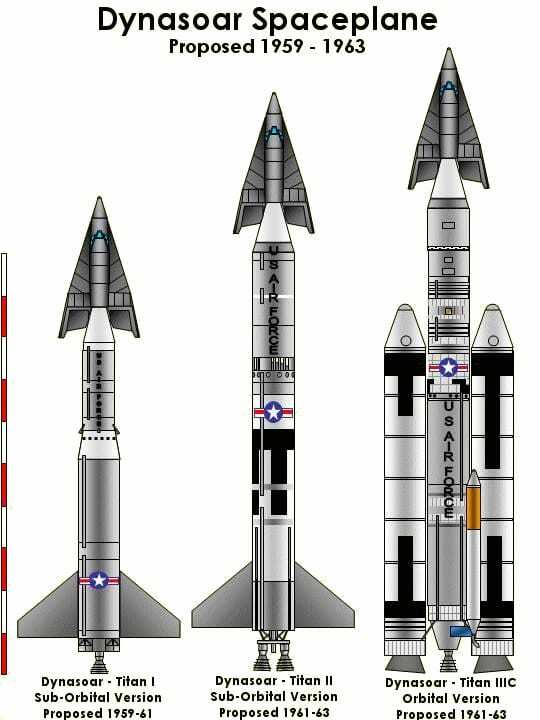 Dyna Soar in its many and still unknown configurations was projected for an EOMSF…Earth Orbital Military Space Force, as described in SR-181. The configs would range from simple orbital reconnaissance gliders to orbital bombardment spacecraft, Command-Control gliders with durations to a week or more, satellite inspection-interceptor gliders equipped with missiles, 2-4 man rescue boost-gliders, crew change vehicles, and even circum-lunar exploration vehicles. Recently two popular authors, one was actually paid for uttering sensless, and quite stupid statements such as “Dyna Soar was a loser,” while the East Coast author really topped it all by stating that the hundress of millions spent on Dyna Soar produced nothing more than a wood mockup! This is research laziness, and outright stupidity. Dyna Soar’s tenure. 1958-1963 generated much research to our national hypersonic data-base, and during its progress, designs were drawn up by the USAF for a Super Dyna Soar, while Boeing applied the basic concept to a lunar lander and a twin Dyna Soar for a trip to Mars ala von Braun;s original winged Mars winged spacecraft…a glide landing. Its fully history is yet to be presented despite an incomplete soft-cover book circulating today. A further comment; The Bell team designed their boost-gliders not with flat-bottoms…the basic criteria for a boost-glider versus the “bread baguette” style lifting body spacecraft, but displayed circular fuselages, and no raised cockpits..thus being a cheaper but easier vehicle to construct. They also pioneered 60 plus degree delta wings as opposed to other firms offering straight ( NAA’s Orbital X-15 proposal) or swept wings, and Bell pioneered a special “liquid cooling, solid insulation” package to wrap neatly around a standard aluminum constructed glider! Bell stated that with funding they could build an aluminum airframe boost-glider with its wrap-around cooling-insulation would survive reentry enough to be reusable a few times before servere fatigue-airframe times ran out. USAF so believed in Bell’s cooling system’s continually refined and tested forms, that since its inception in the mid-1950s, Bell received USAF funds and continued refining and testing it as a boost-glider center section well into 1967! However, in late 1958, Bell after teaming with Martin, offered the handsome and original flat-bottomed boost-glider..a two-man and one man version that easily competed against Boeing’s early and not aerodynamically survivable proposals, i.e., Model 814-1010 and into the 814-1947-1. The first Bell March, 1958 proposal to the DSSPO was a modified BoMi-Hi Fi Recce glider; round fuselage, two side portholes, one ingress-egress hatch and no raised cockpit-thus making for a much eas toier to build, cheaper and lighter, with less monies spent in special canopy frames, window glass, and its detachable heat-shield. Most all the Bell boost-gliders displayed 65-70 degree swept delta wings thus setting the standards for Dyna Soar…they championed the delta wing even as Convair was exploring it in XF-92, and F-102 series of aircraft. The ugly beliefs, politics and ego of certain individuals crushed the Dyna Soar from at least becoming a basic research vehicle…a resonable step beyond X-15.